Note: Within each structure, the parameters may vary somewhat owing to local variation and method of analysis. Another secondary structure that DNA can assume is the A-DNA structure, which exists when less water is present. Like B-DNA, A-DNA is an alpha (right-handed) helix (< Figure 10.15a), but it is shorter and wider than B-DNA (< Figure 10.15b) and its bases are tilted away from the main axis of the molecule. There is little evidence that A-DNA exists under physiological conditions. 110.15 DNA can assume several different secondary structures. 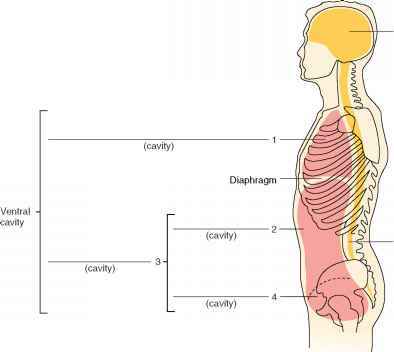 These structures depend on the base sequence of the DNA and the conditions under which it is placed. Lehninger, Biochem 3/e, p.338. Fig.10-19. can arise under physiological conditions when particular base sequences are present, such as stretches of alternating C and G sequences. Parts of some active genes form Z-DNA, suggesting that Z-DNA may play a role in regulating gene transcription. Other secondary structures may exist under special conditions or with special base sequences, and characteristics of some of these structures are given in Table 10.2. Structures other than B-DNA exist rarely, if ever, within cells. Local variation in secondary structures DNA is frequently presented as a static, rigid structure that is invariant in its secondary structure. In reality, the numbers describing the parameters for B-DNA in Figure 10.14 are average values, and the actual measurements vary slightly from one part of the molecule to another. The twist between base pairs within a single molecule of B-DNA, for example, can vary from 27 degrees to as high as 42 degrees. This local variation in DNA structure arises because of differences in local environmental conditions, such as the presence of proteins, metals, and ions that may bind to the DNA. The base sequence also influences DNA structure locally. DNA can assume different secondary structures, depending on the conditions in which it is placed and on its base sequence. B-DNA is thought to be the most common configuration in the cell. Local variation in DNA arises as a result of environmental factors and base sequence. After Oswald Avery and his colleagues demonstrated that the transforming principle is DNA, it was clear that the genotype resides within the chemical structure of DNA. Watson and Crick's great contribution was their elucidation of the genotype's chemical structure, making it possible for geneticists to begin to examine genes directly, instead of looking only at the phenotypic consequences of gene action. Determining the structure of DNA permitted the birth of molecular genetics — the study of the chemical and molecular nature of genetic information. Watson and Crick's structure did more than just create the potential for molecular genetic studies; it was an immediate source of insight into key genetic processes. At the beginning of this chapter, three fundamental properties of the genetic material were identified. First, it must be capable of carrying large amounts of information; so it must vary in structure. Watson and Crick's model suggested that genetic instructions are encoded in the base sequence, the only variable part of the molecule. The sequence of the four bases — adenine, guanine, cytosine, and thymine — along the helix encodes the information that ultimately determines the phenotype. Watson and Crick were not sure how the base sequence of DNA determined the phenotype, but their structure clearly indicated that the genetic instructions were encoded in the bases. A second necessary property of genetic material is its ability to replicate faithfully. The complementary polynu-cleotide strands of DNA make this replication possible. Watson and Crick wrote, "It has not escaped our attention that the specific base pairing we have postulated immediately suggests a possible copying mechanism for the genetic material." They proposed that, in replication, the two polynucleotide strands unzip, breaking the weak hydrogen bonds between the two strands, and each strand serves as a template on which a new strand is synthesized. The specificity of the base pairing means that only one possible sequence of bases — the complementary sequence — can be synthesized from each template. 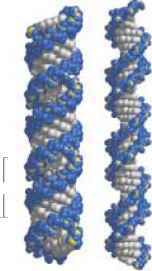 Newly replicated double-stranded DNA molecules will therefore be identical with the original double-stranded DNA molecule (see Chapter 12 on DNA replication). The third essential property of genetic material is the ability to translate its instructions into the phenotype. For most traits, the immediate phenotype is production of a protein; so the genetic material must be capable of encoding proteins. Proteins, like DNA, are polymers, but their repeating units are amino acids, not nucleotides. A protein's function depends on its amino acid sequence; so the genetic material must be able to specify that sequence in a form that can be transferred in the course of protein synthesis. DNA expresses its genetic instructions by first transferring its information to an RNA molecule, in a process termed transcription (see Chapter 13). The term transcription is appropriate because, although the information is transferred from DNA to RNA, the information remains in the language of nucleic acids. The RNA molecule then transfers the genetic information to a protein by specifying its amino acid sequence. This process is termed translation (see Chapter 15) because the information must be translated from the language of nucleotides into the language of amino acids. Information is transferred from DNA to an RNA molecule. Information is transferred from one DNA molecule to another. Information Is transferred from RNA to a protein through a code that specifies the amino acid sequence.